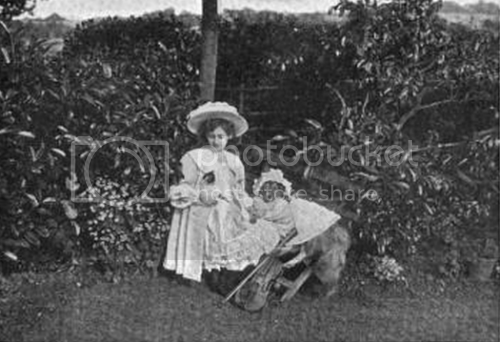 This is part 3 of 4 of a long essay on turn-of-the-century violin prodigy Vivien Chartres and her author mother Annie Vivanti. Part I and Part II can be found here and here. 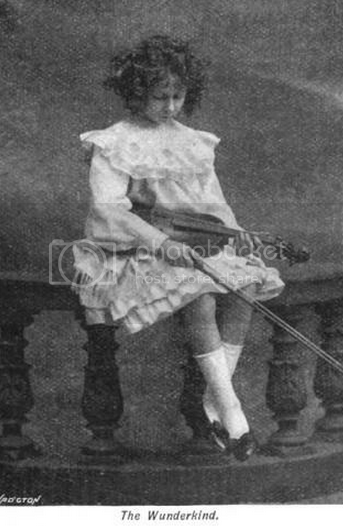 During the concert Vivanti sat paralyzed in the audience, wondering how it was possible for her little girl to play so beautifully – how she could memorize so many notes – how her little fingers could land so quickly and accurately so many times in a row. Vivanti was terrified that Vivien would break down at any moment, or forget her place, or even run off the platform. But of course she needn’t have worried. The concert was an unqualified triumph. News of it leaked back to London, where a review of her concert appeared in the Times: “her public performance…seems to have surpassed all expectation,” the reporter wrote. If the account in The Devourers can be trusted, Ševcík came backstage after the concert and said simply, “I have taught you what I could. Life will teach you the rest.” There is no record of Vivien ever returning to him for instruction. “I have three,” she said, “but they are not mine. Professor Ševcík has lent me one of his own to play Moïse on; it has only one string. 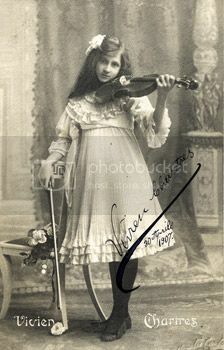 And Dvorák, in Prague, has lent me another to play everything else on. 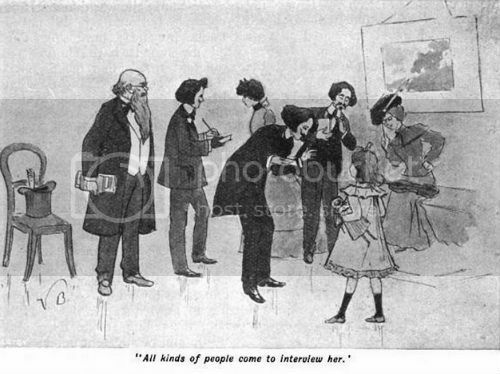 And the third – ” She hesitated and blushed. Wonderful, Emily! I enjoy each one more than the first. I love the conversation about music/Bach at the end. I wonder if Vivien actually said that. And the mother seems very wise, also. I wonder if Anne was portraying herself as wise in the book, or if she really was so. I can't wait to see where this goes.